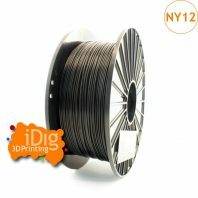 Our premium natural ABS 3D printer filament is ideal for 3D printing strong durable prototypes. 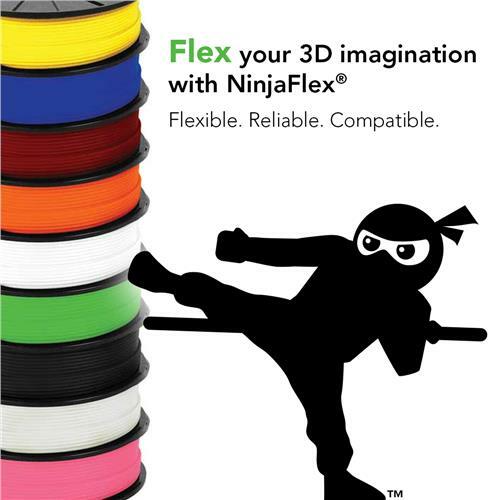 Great quality ABS filament that gives high extrusion consistency at a great price. 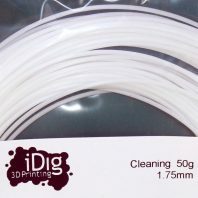 Natural ABS filament from iDig3Dprinting is part of our standard range of quality ABS filaments. 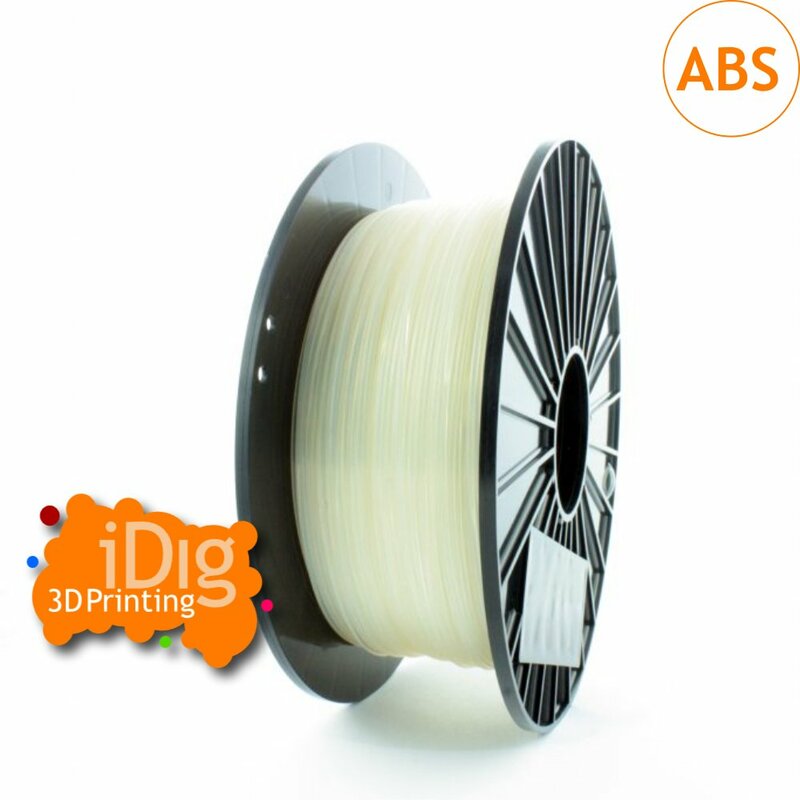 Our ABS Filament is sold in 1kg spools in both 1.75mm and 2.85mm diameters. 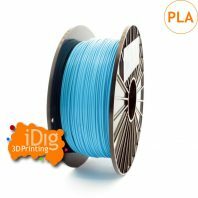 The filament is shrink wrapped with silica gel to ensure a low moisture content and that it reaches you in ready to print quality. Why use our Natural ABS? 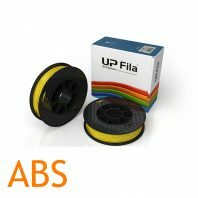 ABS is stronger than PLA filament and is good for producing durable and strong parts. 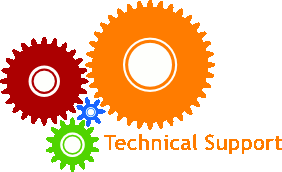 It has good temperature resistance with a relatively high glass temperature. It also has very good impact resistance. Additionally it is very good for post processing. Parts made from ABS can be glued, sanded or smoothed with an acetone vapour bath to give a finish unblemished by the layering that occurs with FDM 3D printing. 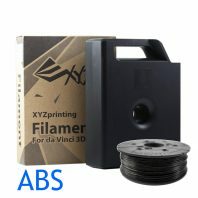 ABS is great for prototyping as well as the hobbyist. 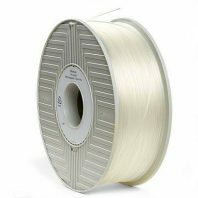 It is recommended that you use a heated bed that can reach at least 100°C in order to reduce warping. 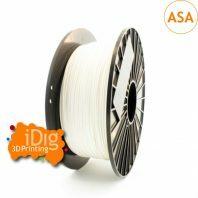 Although our natural ABS filament is offered at a great price we have not compromised on quality iDig3D ABS provides great extrusion consistency for repeatable high quality 3D printing results due to the consistency of the monofilament. 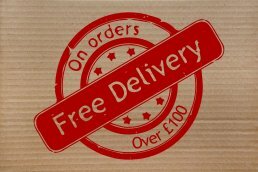 Store in a cool and dry location (15-25°C) away from UV light; for best results use within 12 months of purchase.